The new fairing incorporates the winglets into the bodywork instead, creating a radical-looking shape that Lorenzo said after the session made real changes to the behaviour of the GP17 machine. “It was a positive day and I’m sure that we still have room for improvement. This morning in the wet, the feelings were good, the grip was good and the front had very good stability. For sure I could have pushed harder and improved my time. This means that we are ready if it rains during the race on Sunday, and this is very positive. 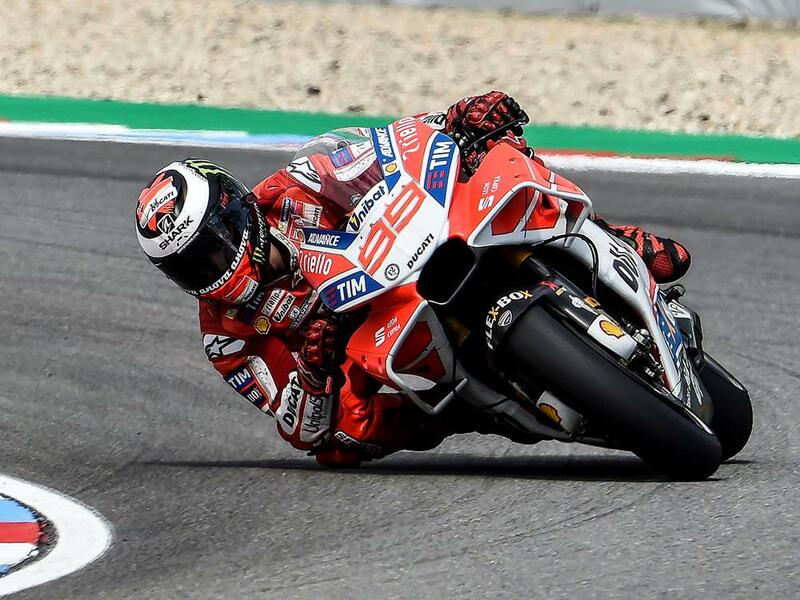 Earlier in the day, Ducati Corse boss Gigi Dall’Igna discussed with the media the impact of the winglet ban, admitting that any theorised cost savings by banning the aerodynamic devices had been nil thanks to the amount of wind tunnel time needed to work on a replacement. Speaking at the manufacturer’s press conference surrounded by the technical bosses of all six MotoGP manufacturers, only Honda were adamant that the decision to ban the wings last season was the correct one, at least from and R&D and cost perspective.